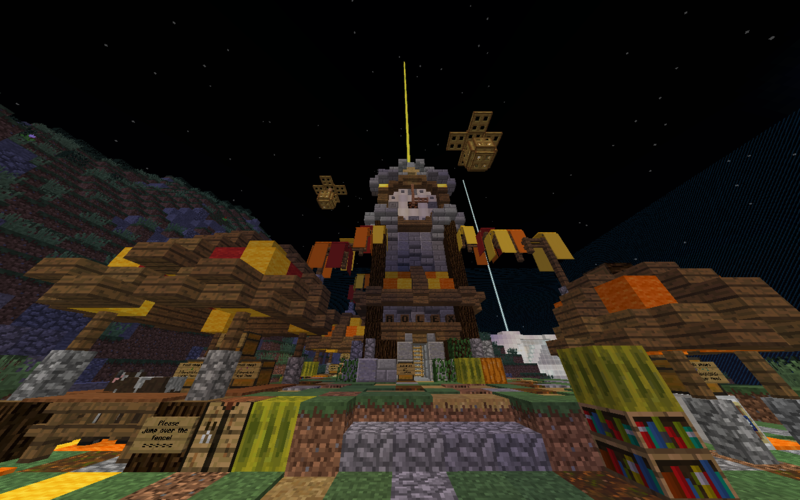 Mtn21 is where all of my custom lored clocks and items can be bought! I am the only clock maker present in SwanCraft and have been for over a year now! 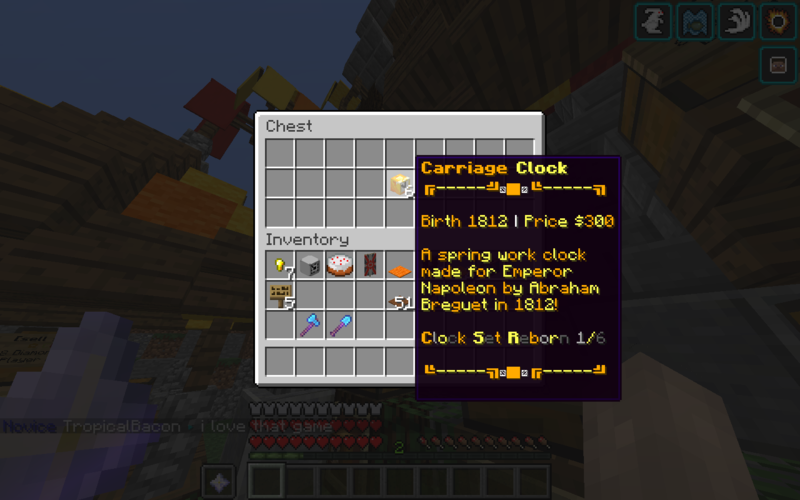 When I first joined I sold crude renamed clocks, then I paid other people to lore it for me and finally I got the ability to lore my own clocks! I take a clock head from /heads and I use several techniques I have learned over my time on the server to create a quality time piece you can be proud to have in your home! .Place then on armour stands that have been piston pushed into tables and floors.